Producer Jerry Bruckheimer announced last year that the fifth installment of his Pirates Of The Caribbean franchise was being shut down indefinitely due to script issues—or, perhaps, running out of ways to tell stories about a pirate getting into drunken shenanigans that nevertheless gross $1 billion worldwide. The movie was originally supposed to be released in summer 2015, but now audiences will have to wait three more years for another installment, with Pirates Of The Caribbean: Dead Men Tell No Tales slated for a July 7, 2017 release. The film is being written by Catch Me If You Can’s Jeff Nathanson, and directed by Kon-Tiki’s Joachim Rønning and Espen Sandberg. 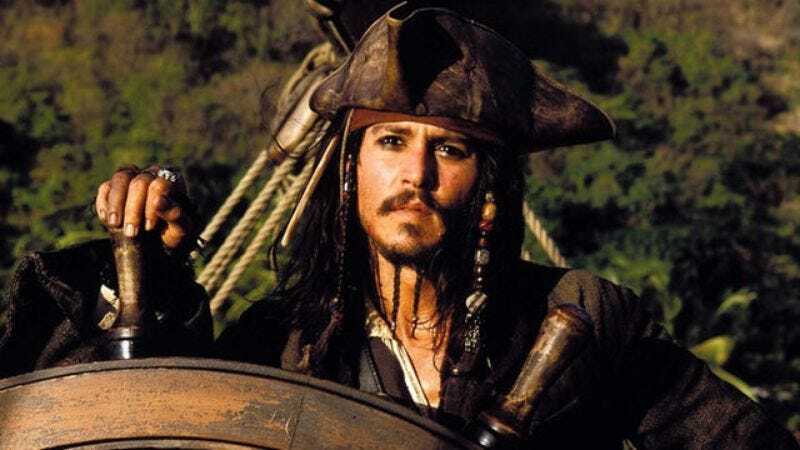 By the time its released, the world will have been watching Captain Jack Sparrow drink rum and find himself in various forms of trouble off and on for 14 years, and Johnny Depp will be 54 years old.